By now your hotel website should have a blog, but that’s only one step of the process. Running a blog on your hotel’s website is one of the most cost effective ways to drive a steady flow of traffic and encourage direct bookings. One of the challenges that many hotels face, is the inability to effectively drive qualified traffic to their blog. What is the point in running a blog if it cannot be found doing a search on Google and if nobody ends up reading it? If no one can find it nor read your hotel’s blog, then don’t expect any traffic to be generated and most importantly don’t expect any sort of conversions to magically result from your blog. Whether you blog in-house or hire a third-party marketing company, be sure you are getting the most out of your content marketing strategy and maximizing your blog’s search potential. Merely writing about an event or attraction near your hotel isn’t enough to capture the attention of the reader. Blogging should be more than just adding keywords and hoping that Google indexes these pages for first page ranking. If you think this is the purpose of blogging than you have it all wrong. Your goal in blogging should be about capturing the attention of the reader and engaging their interest by providing valuable and insightful content that answers their curiosities about the event or place you are blogging about. 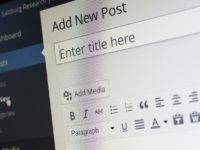 Once you start regularly publishing quality content on your blogs and following these tips, you will soon see a boost in search rankings and traffic. Here are 4 effective tips in driving qualified traffic to your blogs that will help lead to better Search Engine Results Page (SERP) ranking and direct bookings. In recent years, Google has rolled out many algorithms that have affected how your website content is ranked. Back in 2013, Hummingbird was introduced which impacted the ranking position of several sites. This algorithm focused on the intent and meaning behind the words which allowed Google to better understand the context and provide better search results for users. With that said, finding a balance between writing for the potential guests and for Google, is key to providing quality content that will convert lookers into bookers. Your blog should definitely focus on quality content that is of real value to your guests. The main focus of blogging should not be about how many keywords you can stuff on the page, but rather how helpful your content is to the reader. The travel experience is beyond just needing a place to stay it’s about the memorable experience guests will enjoy within the surrounding area. Travelers are looking for recommendations on places to eat, visit and explore. So let your blog be a digital concierge for your guests and give readers what they want. You cannot begin writing your blog unless you know who your audience is. As you know every user that visits your site has a unique set of needs, so as a hotelier it is your job to satisfy your customer’s needs by providing them with relevant content that speaks to them. In order to do this, you must first identify your target customer and tailor your voice to that specific customer segment. For instance, if your hotel is close to a winery and you would like to attract more wine aficionados, then your customer segment would include adults, particularly couples. Narrow your customer segment even more by researching whether these couples are young, old or both and if they are locals or foreign visitors. Use review sites like TripAdvisor, Yelp and Google+ to do your research in finding out who your guests are. Once you’ve identified and narrowed down who your customer segment is, then compile of list of keywords that would generate searches relevant to wine-goers. After you’ve done your keyword research, then it’s time to write your blog. Don’t forget to include all the information that is helpful to the guest in the blog including the location, time, directions, and other unique facts pertaining to the event. Furthermore include call-to-action verbiage in all of your blog posts. This will ensure that readers take action like booking direct with your hotel. Now that you’ve done your research and published your blog, it’s now time to promote the blog and convert the traffic. Remember that getting results from blogging is gradual. So while you wait for your blog to grow organically, why not supplement the organic traffic with paid search? Since growing traffic from blogging may take between 3 to 6 months, it would be beneficial for you to invest in running campaign ads such as Google Adwords and Facebook ads. Promoting your blogs on these ad platforms can increase exposure and visibility which will thereby increase the traffic to your blog. If your blog mentions a special you are running for that particular event, then you will definitely want to run an ad for that. The ad will serve two purposes; one, it will get viewers to read the article and two, it will get those same viewers to hopefully book your special if they plan to attend the event. Advertising your blog on these platforms is a great way to give your blog a head start in generating traffic. Another effective way to promote your blog posts is by sharing them on your social media channels. If you haven’t yet started sharing your blogs on social media then begin so today. By distributing your blogs on various social media channels that you are currently active on, the more engagement you will receive. Your followers will begin to engage with your content by liking, commenting and most importantly sharing them with their friends and family. An added benefit to sharing your blog posts on social media is the increase in backlinks, which in turn will boost organic traffic. To extend your reach even further, you should consider running Facebook ads. When promoting your blog posts on social media, be sure to add an eye-catching photo that would entice users to click on your post and read your blog. Lastly, don’t forget to measure the traffic you generate to your blogs from social media. It is evident through these 4 tips how important quality blogs are to generating traffic. So re-evaluate your content marketing strategy and determine what the initial goal was when your blog was established. You should start by implementing these tips, which will align the goals, and then you’ll be well on your way to boosting the traffic to your website.